Posted on July 21, 2016 by Oakville Galleries. The grass in Gairloch Gardens is burned to a crisp this week. 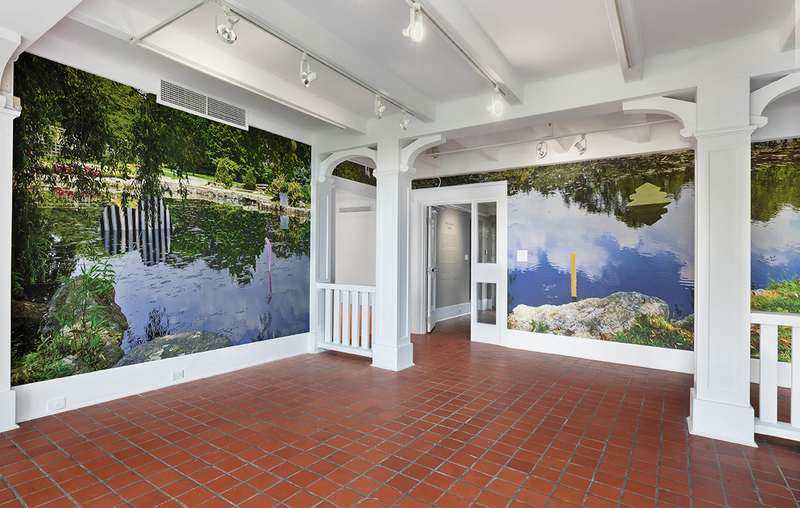 Harkening back to greener times with Kelly Jazvac’s installation Park from her solo show back in 2013. Photo: Toni Hafkenscheid.